Over the past 4 years as a dietitian, I have had the opportunity to serve as a preceptor for students and dietetic interns in a variety of capacities. I remember my first experience hosting a student from our local Virginia Tech dietetic internship clearly because I was terrified! I had thoughts along the lines of “What if this intern knows more than me? What if she thinks I’m boring? How will I manage my time and get all of my work done?” Thankfully my fears turned out to be unfounded — I had a wonderful experience hosting my first intern and enjoyed it so much I immediately requested more to be sent my way. As an undergraduate student and dietetic intern, I always had a deep appreciation for the faculty members that delivered my education and the dietitians in various settings that patiently mentored me through the internship process. Each of these individuals played a vital role in shaping me into the professional I am today and inspiring me to play an active role in the profession to ensure its longevity. Now as a practicing dietitian, my love for the profession overflows in a way that I cannot help but want to share it with others, and therefore I openly welcome the opportunity to mentor students and interns. Serving as a preceptor pushes me outside my comfort zone. It pushes me to be more organized, both in how I develop my thoughts in communicating my plan of care but also in the identification of resources for students to reference and utilize. It pushes me to better manage my time while balancing professional duties, time with patients and time mentoring my student. It has been vital in the development of my communication skills especially in modeling the importance of interdisciplinary teamwork and in providing constructive feedback to facilitate student learning. Being a preceptor helps me to “stay on top of my game,” especially in regards to the latest practice and evidence-based guidelines within my specific area of practice. I also get to learn from my students and in turn, assist them in integrating that knowledge and develop the skills required to think on their feet, problem solve, and become confident, competent practitioners. Working with students provides me with a platform in which to bounce off ideas, thoughts regarding a plan of care or to discuss pertinent issues within the profession. 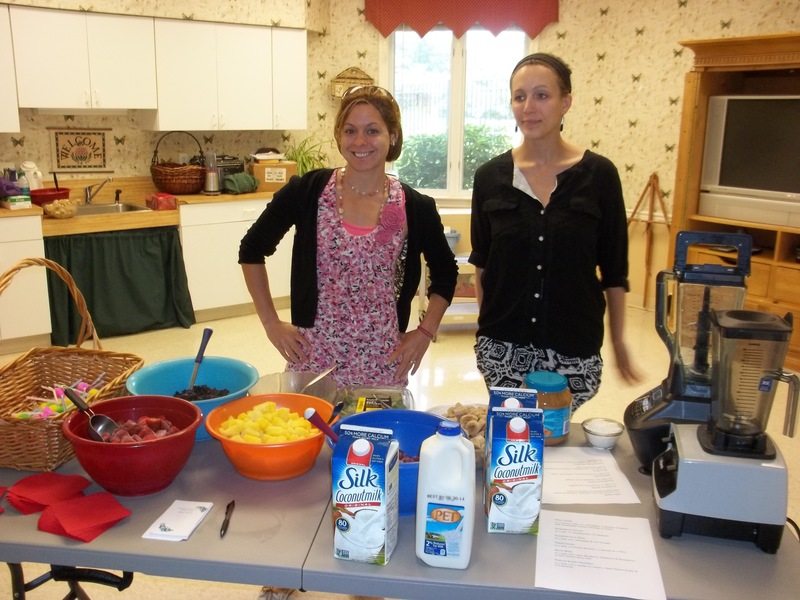 Kristen had fun making smoothies for long-term care residents with student Brittni Woolwine, now a graduate of the Virginia Tech DPD program. Being a preceptor allows me to serve more confidently as a dietitian, knowing that I am a leader, serving as a role model for the future of the profession. It has undoubtedly increased my overall satisfaction as a dietitian while consistently motivating me to put my best foot forward in representing the profession. I am thankful for the opportunity to guide and facilitate the learning of students, teach critical thinking, professionalism, and culture competence and confidence in their skills and knowledge. While I will forever be in gratitude to the many dietitians that molded me into the professional I am today, it’s my pleasure to be able to return the favor in encouraging, mentoring and teaching the dietitians of tomorrow. If you’re interested in becoming a preceptor and unsure about taking that first step, all I can say is you’ll never know until you try! Be sure to check out CDR’s FREE Dietetics Preceptor Learning Module at: http://www.cdrcampus.com/, which is full of tools and advice to equip you in having a positive and successful preceptor-intern relationship and outcome. 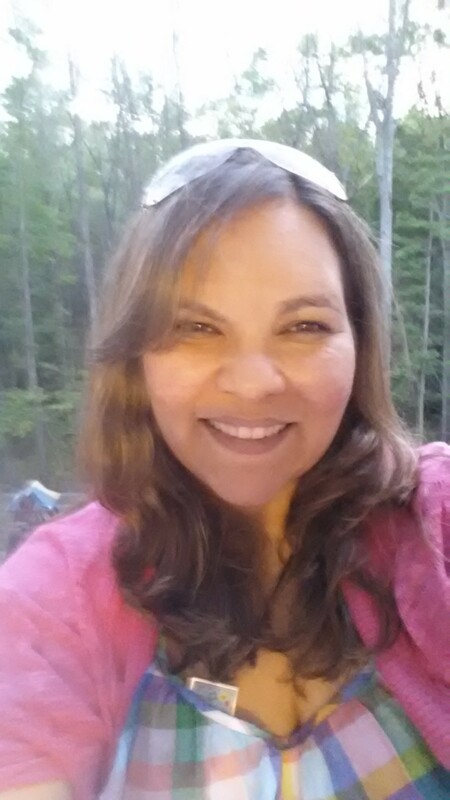 Kristen Chang, MS, RDN, CSSD is the current Co-Chair of Professional Education for VAND. 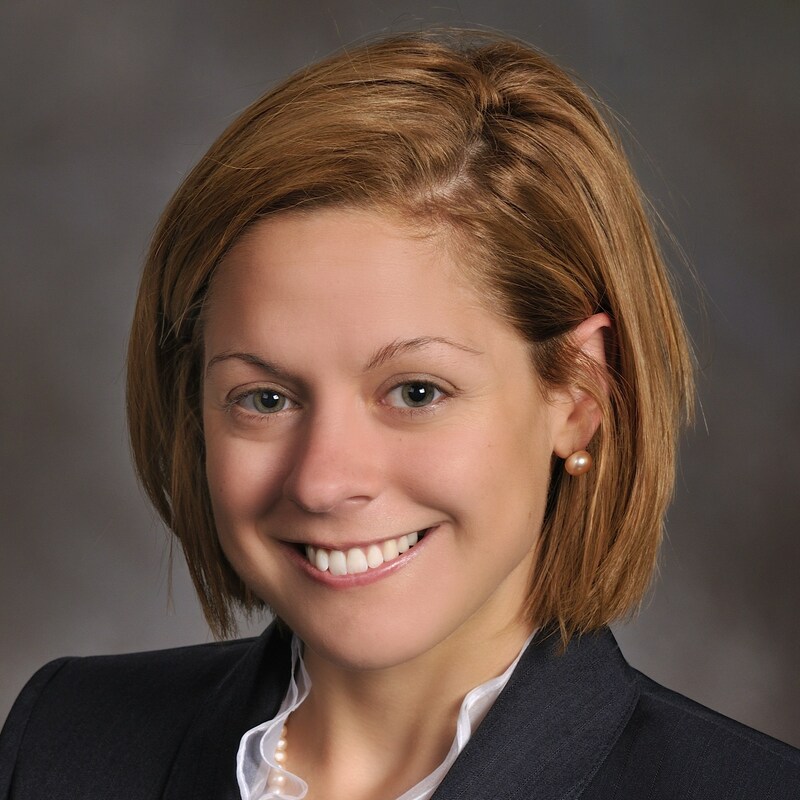 She is an adjunct instructor for Virginia Tech and Radford University and the owner of the nutrition private practice, Real Food For Fuel, LLC, with an emphasis on sports nutrition. She is thankful for the unique position in which she is able to teach dietetic students and serve as a preceptor to both students and interns. 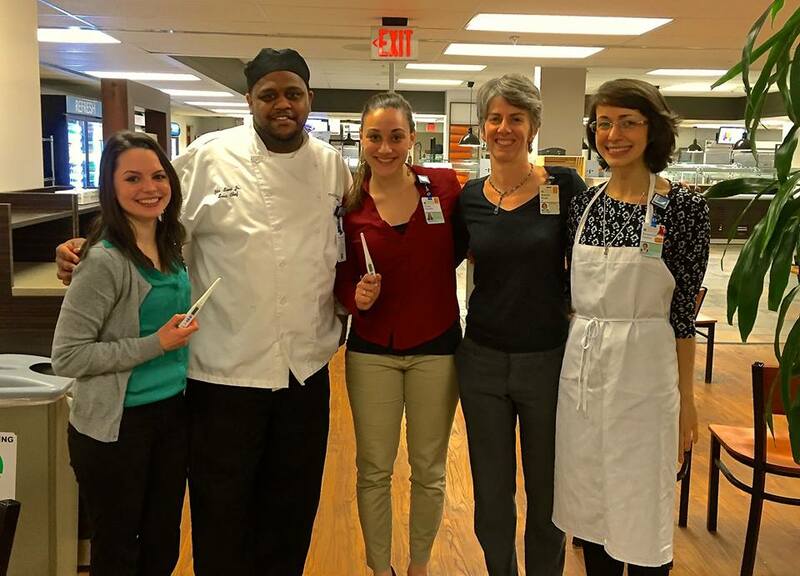 Continuing our theme for the blog this week to honor Virginia preceptors for National Preceptor Month, we asked dietetic interns from Virginia Tech to share stories about RDNs who have made an impact on their training and careers. We love the stories they share here! As part of my dietetic internship through Virginia Tech I had the privilege of working with Katie Nash at D.C. Central Kitchen for my foodservice rotation. Being a former Virginia Tech intern herself, Katie was familiar with the assignments I had to complete and was able to offer excellent advice and organizational planning tips throughout. I felt like Katie treated me like an equal throughout my rotation, giving me the right balance of guidance and autonomy. I appreciated that she gave me the opportunity to use my strengths, including my background in research and my creativity, to benefit the school foods program. For example, she encouraged me to initiate a plate waste study while I was there, and left the design and procedural elements up to me to develop. I really enjoyed being able to take charge of the project, digging into the details of how to develop the most effective methods for gathering the highest quality data possible, and Katie trusted me to do it, providing feedback and collaboration along the way. I was grateful for her laid-back yet helpful demeanor as a preceptor; she didn’t sweat the small stuff and was able to seamlessly reprioritize throughout the rotation based on the challenges we faced. The time and effort she put into mentoring me helped make my time at DC Central Kitchen a truly amazing experience. Thanks, Katie! I was lucky enough to spend time with Susan Lessar during both my clinical and community rotations. Susan has hosted many interns before me, and immediately made me feel at home working at Winchester Medical Center. The members of her team all showed such enthusiasm for mentoring me, which I believe is a testament to Susan’s great leadership and passion when it comes to taking on interns. During my community rotation, I was able to work on a wide variety of assignments for both the hospital and the free medical clinic in Winchester. Throughout this rotation, Susan allowed me the perfect balance of clear direction and the ability to work independently. She provided unique learning opportunities and constantly asked for my opinion on different ideas and projects. And she always took into account my interests and career goals. The entire rotation felt like we were collaborating, which was a true confidence building experience for someone just starting out in a new career. Even now that my time with her is over, she will still send me emails to check in or to ask my opinion about something. I can’t put into words how appreciative I am for the time she spent mentoring me this year. Thank you, Susan! 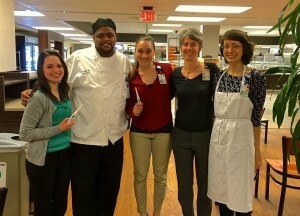 I am a few short days away from graduating from my dietetic internship. Looking back on the year, I can attribute much of my growth in professional confidence and competence to one particular preceptor, Alex Wahlberg. When I think of Alex, I think of a quote by Bob Proctor, “A mentor is someone who sees more talent and ability within you, than you see in yourself, and helps bring it out of you.” Alex helped instill so much confidence in me in a short period of time by going above and beyond expected responsibilities of her preceptor role. In our first day together, she set aside time to discuss my learning needs and goals for the rotation. Further, she had created a beautifully organized orientation packet for the rotation, which helped me to visualize my expectations as an intern. Instead of being plagued with nerves on the first day of my rotation, Alex’s extra effort and care helped me start with confidence and self-direction. As I continued through my rotation, Alex helped me become more effective every day by consistently communicating my strengths and areas for improvement. Whether she gave me thoughtful, constructive feedback on an interaction with a patient or a simple compliment at the end of the day, Alex was always working to help me better myself. I strongly believe that self-reflection is the key to self-actualization, and feedback is something we could all use more of in our lives. Alex helped me latch onto strengths that I didn’t know I had, but now will carry with me for life. While my rotation with Alex was short, her impact on my professional skills and more importantly my confidence will be everlasting. This internship has been such an impressionable period in my life, and I will forever remember the personalized attention that Alex gave to help me flourish. There it is – an email, a call, a message, sometimes an unexpected visit –a student requesting if you could be his/her preceptor! Does this sound familiar? As a Clinical Nutrition Manager, I receive frequent requests (more requests than I would ever imagined) from students in Virginia, D.C., and other nearby states who are looking for a Registered Dietitian Nutritionist to be a preceptor. I am sure that many of you have similar requests in your work site, whether that is for a clinical, foodservice, community or a specialty rotation/ experience. You see, learning from each other is still one of the most important ways that people develop skills. And this is exactly what Dietetic Interns and Future Dietetic Interns need: they need a teaching hand to learn and practice basic skills to become a Registered Dietitian Nutritionist. That teaching hand can only come from an expert, an RDN like you. We need your expertise! I am asking you today: Could you be a teaching hand? Could you be a preceptor? April is National Preceptor Month! It is a great time to be thankful to Preceptors, and perhaps to urge you to act and become one. Preceptors are needed in many areas. As internships have evolved, more candidates have the opportunity to complete the program as part of distance internships. Different than a traditional internship, these candidates need to map their rotations and submit a plan with proposed sites during the application process. This is when you, as an RDN, is needed: answer that call, return that email, say yes, take the challenge and be a preceptor! As a daughter of a teacher, I learn and value the time and tools used by those who I cross path with, including many of the great preceptors during my internship. I was set up with excellent preceptors, which shared teachings that I remember to this day. 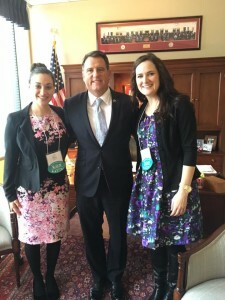 I valued their time and felt very thankful for taking me as an intern. How about you? I’m sure that you have your share of great experiences! Some people will challenge that there is not “enough time” to take a student, or that we will not be able to offer a good experience. With all due respect, I like to think about it as an “investment” of time. If you open your heart and welcome the profession once more, the time that you put in teaching a student will be more likely to be returned in high quality projects, ideas and professional development for the student as well as the preceptor. If you are a seasoned RDN, you will benefit from learning what is new in the field. If you are a new RD, you can relate to students in the path of becoming one. My point is, if you ever had a doubt, if you question yourself “do I have what it takes to be a preceptor?”, I’m here to tell you that you have the capability to be a Preceptor, the wisdom to steer the career of those who are looking for a resource, a mentor, an example. Don’t think twice and prepare yourself for what will be a great and rewarding experience. To me, being a preceptor is an amazing journey. It is an honor to be trusted by students, assisting in shaping the future RDN’s, and our profession. It is a privilege that I invite you to share! 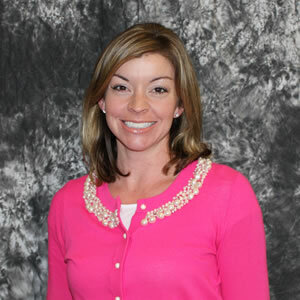 Alice Ann Bones, MSM, RDN, is the Clinical Nutrition Manager at Mary Washington Hospital in Fredericksburg, VA. She is also a Regional Clinical Nutrition Manager for Morrison Healthcare and the New Member Liaison and the Diversity Liaison for VAND. 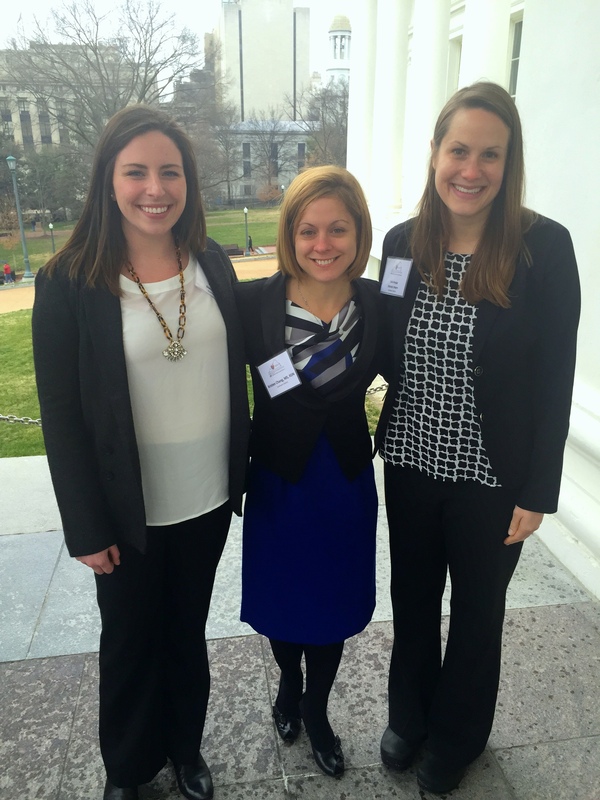 Stephany Johnson is a dietetic intern for Virginia Tech, class of 2016. She is honoring one of her preceptors who made a difference! “During my time as a dietetic intern at Virginia Tech, I was able to receive mentoring from many dietitians. I had the opportunity to work with Amanda Mellowspring, MS, RD/N, CEDRD as part of my community rotation. Having an interest in working with individuals struggling with eating disorders ever since I decided to become a registered dietitian, I was beyond fortunate to learn from someone with as much experience as Amanda. During my time with Amanda, I was able to expand my knowledge of eating disorders by observing how Amanda works with individuals in an intensive outpatient setting. Having such a large amount of experience and passion, I believe Amanda has superb counseling skills that positively impact individuals as they move closer and closer to recovery. Outside of group therapy, Amanda was always willing to answer any questions I had, as well as share her knowledge about eating disorders with me. In my opinion, eating disorders are a very debilitating disease that is often undiagnosed and misunderstood by many professionals. Having individuals, like Amanda, that are willing to share their knowledge, and be preceptors for future dietitians gives great hope that eating disorders will be better understood by dietitians and other professionals as they move into their careers. With my dietetic internship coming to an end, I am more than thankful that Amanda was willing to be my preceptor so that I could expand my knowledge about various eating disorders. Not only did my knowledge about eating disorders increase, but my passion increased as well. With that being said, I am excited to continue developing my knowledge of eating disorders by working as a registered dietitian at Rosewood Ranch Eating Disorder Treatment Center. 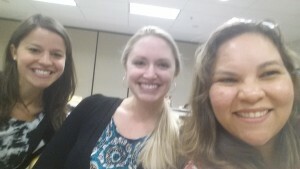 April is National Preceptor Month: A Chance to Honor Our Virginia Preceptors! April is National Preceptor Month, which is the perfect opportunity to honor and thank Virginia RDNs and others who precept our interns! 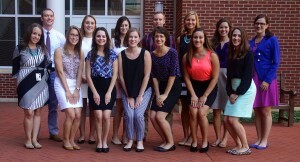 Thank you all for training and mentoring them to become the next registered dietitian nutritionists who will help us fulfill our vision to optimize the health of Virginians through food and nutrition expertise. 1. Chef Otis Sims: Otis is always willing to go above and beyond when it comes to helping out with intern projects and events. For example, at our student cooking demo, Otis packaged all the leftovers and cleaned the whole kitchen while we were eating the meal we had prepared. His only responsibility was to help with the actual cooking, but he did so much more. 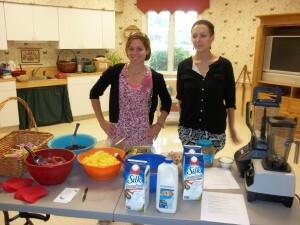 Another example is when we needed samples to give out during National Nutrition Month. On the morning that we were supposed to be passing out samples, the menu had been changed from what it was originally supposed to be. When we reminded all the chefs that we needed the vegan chili that was originally supposed to be on the menu for that day, Otis immediately stepped up to whip up the chili and put it in a serving dish that would keep warm while we were handing out samples. Overall, Otis is my go-to guy in the kitchen because he is always ready to help with a smile on his face! 2. 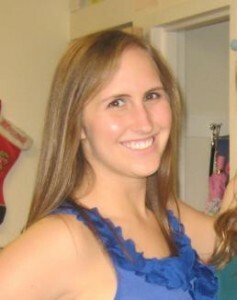 Angie Hasemann: Day in and day out, Angie is there to do whatever it takes to make every intern’s experience great. She often sends out kind emails thanking us for our efforts (for example, she sent an email to say how proud she was of everyone that presented posters at the VAND annual meeting) and never fails to make us feel like our work as interns is important. I know I can go to Angie with any problem, question, or concern I have and she will be there with a solution or just to lend an ear. She is one of the most hard-working, caring, driven, and compassionate people I know. It’s the time of year when dietetic interns prepare to transition from students to professionals. As I reflect back on the past eight months, I can’t believe how much things have changed. At the beginning of the program, I timidly met with preceptors to learn the basics of nutrition assessment and charting, unsure how to interact with other dietitians, professionals, and patients. As time went by, I became more confident in my skills, only to be thrown into another unfamiliar area. Although more confident now than when I started, I still wonder how I will ever feel fully ready to fly. What I do know, however, is that when I make the leap, I will be okay. This is in part because of the hard work I have put into this internship, but also in part thanks to the many amazing preceptors I have come to know. Whether intern, preceptor, or a dietitian who doesn’t regularly work with students, I think we can all use a reminder of ways to help create successful nutrition professionals. Ask questions, but be willing to do some of your own research. Take advantage of the wealth of knowledge your program directors and preceptors have. The internship is also a unique time where you’re surrounded by people whose job it is to help you achieve your full potential. Seek their advice and get to know them; you never know when one of them will inspire you. Ask about how they landed in the area in which they now work or talk to them about what they wish they had done differently (if anything). Focus on what is most useful to you from the readings and assignments. It’s easy to get caught up in completing assignments and readings just for the sake of finishing them. However, you will learn and remember more if you focus on the things that help you better understand the subject at hand (and not what you think your preceptor wants you to know). On assignments, it may be useful to make your own note sheet separate from what you will turn in so you can add information related to the questions that will be helpful in practice. Instead of looking at assignments, projects, volunteer opportunities, etc. as work, look at them as opportunities to build your resume and increase your knowledge. Again, it’s easy to get caught up in the cycle of completing assignment after assignment, but try to think about how each opportunity will impact your future. For example, while my capstone research project was difficult and time-consuming, I can now say I presented my research at the VAND annual meeting and can demonstrate to future employers that I have valuable research skills. I know, you’re busy. But volunteering will give you a chance to put what you’re learning into practice in a non-traditional setting. Volunteering is also a great resume booster and way to meet other students and professionals. Find something you enjoy outside the internship. When you just can’t look at another piece of internship-related work, it’s nice to have something else to do. Many interns have joined workout or yoga classes, made friends at church, discovered new areas to hike, or taken up new hobbies. Whatever it is you enjoy doing outside nutrition, DO IT! Get to know the interns. Most of our waking hours are spent focusing on the internship, so it’s nice for someone to make the effort to get to know us as human beings. Doing this will make us more comfortable working with you, which will make us more likely to ask questions and challenge ourselves in rotation. Think about the experiences your intern has and/or has not had. Either by sitting down with your intern at the beginning of the week or by looking at the intern schedule, it’s helpful to know which rotations your intern has gone through. Acknowledging the intern’s experiences will let them know you understand for what they may or may not be ready. Introduce your intern to the people you work with. Consider the fact that interns have to work on new floors/in new buildings with people they don’t know regularly. Add that to the fact that they are likely still a little unsure of what they are doing, and it can be scary to start a new rotation. Introducing the intern to your co-workers helps make them feel like part of the team and will make them more likely to get involved with interdisciplinary care. Try not to focus on the format/style of the note, and instead focus on the content. Do your best to remove your own style bias from the equation. While it is helpful to get some pointers on proper wording and formatting of notes in the first few months, most interns have found their own style after a few months. Remember that everyone has their own way of writing notes (as do you! ), and pointing non-content-related details of notes may take away from important discussions about note content. Find a balance between challenging your intern and leaving them feeling overwhelmed and/or stranded. One of my preceptors told me on my first day of rotation that I would be leading a counseling session later that afternoon. This was about my third week of rotation, so I was terrified. However, this preceptor gave me adequate time to prepare for the session and ensured that she would jump in if I had questions. Although it was scary, she made sure I wasn’t overwhelmed and was very encouraging. Sometimes we need a little push, but make sure you offer proper support instead of leaving us feeling stranded. Make time for a one-on-one meeting at the end of the rotation. 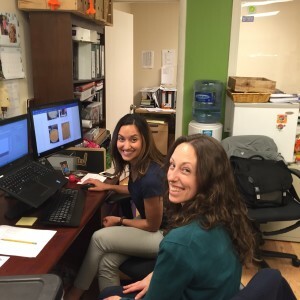 As we all know, whether intern or preceptor, the dietetic internship experience is both challenging and rewarding. 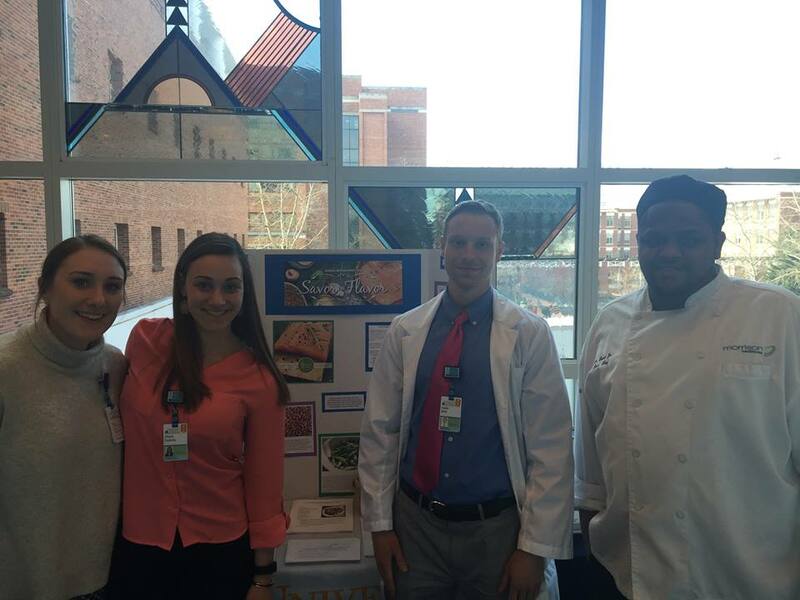 Interns are asked to work 40 hours each week learning clinical nutrition skills and attending class, while working tirelessly outside rotation on assignments. Preceptors, likewise, hold full-time jobs with full patient loads, while being required to take time out of their busy days to act as teachers and mentors. 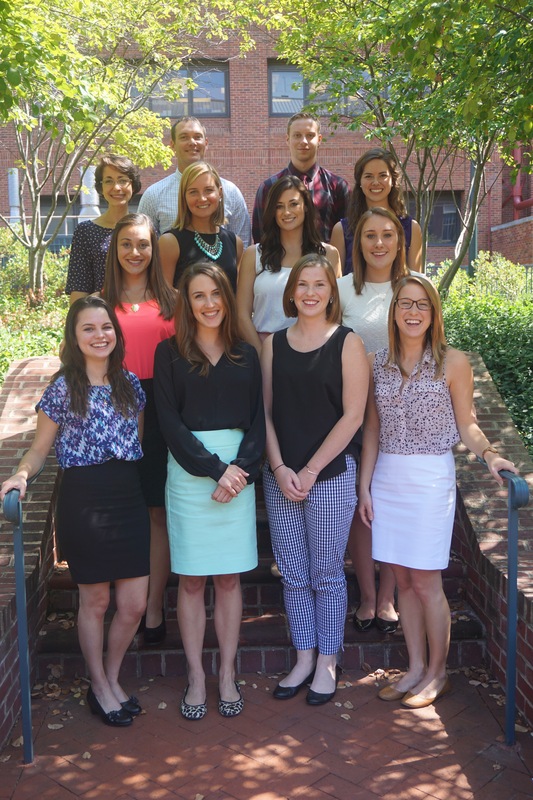 However, it is because of everyone’s hard work that dietetics is one of the fastest growing fields in America. So I guess it’s true what they say: sometimes the richest things in life are also the most challenging. Diana Gulotta is a Dietetic Intern at the University of Virginia Health System in Charlottesville, VA. A Wisconsin native (Go Pack Go! 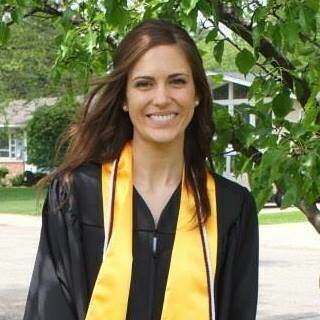 ), Diana graduated with Highest Distinction from the University of Wisconsin-Madison in 2015 with a degree in Dietetics. In her free time, Diana enjoys singing, hiking, cooking, and reading. She is pictured here with her internship class and Internship Directors. As April is National Preceptor Month, stay tuned to the blog this week as interns in Virginia highlight those preceptors who have had a great impact on their learning this year! 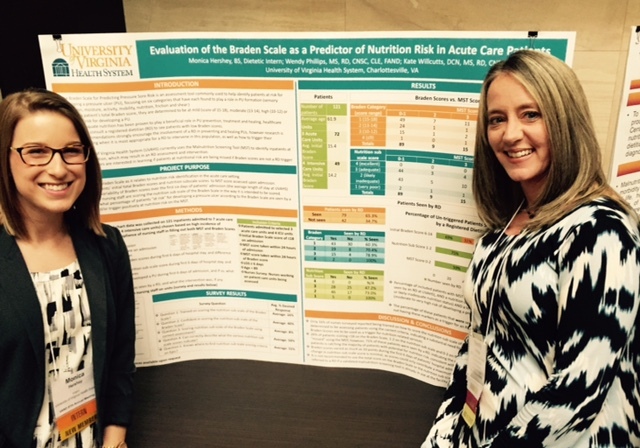 Poster Presentations as a Dietetic Intern: Monica Hershey shares her experience! At the 2016 VAND Annual Meeting held this year in Fairfax, VA, selected VAND members presented posters on research they had recently conducted. 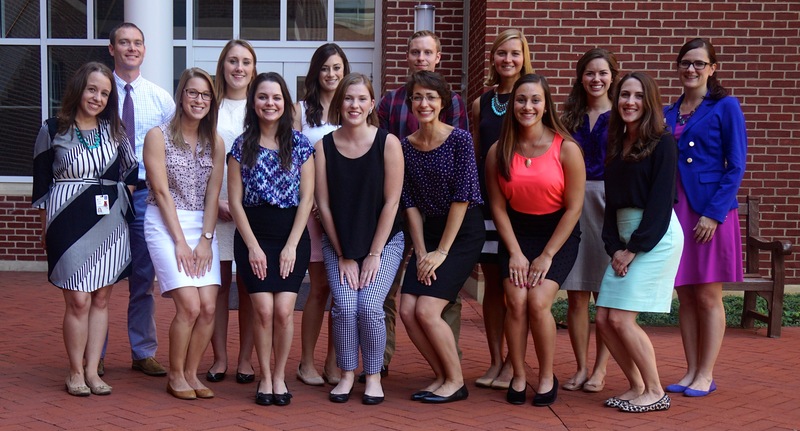 It was a pleasant surprise to see the number of dietetic interns chosen to participate in this year’s session, as well as a number of nutrition professionals. Dietetic interns and Registered Dietitians from across the state of Virginia were present at the session, with posters reporting on quality improvement projects, patient satisfaction studies, program research and development, development of nutrition-related screening tools, community resource development, clinical research studies and more. The poster session was heavily attended, giving poster presenters a chance to share something they are passionate about, or at least something they have put a great deal of work into, with many of their professional peers. The poster session provided networking opportunities for interns and established nutrition professionals alike, as well as the ability to gather new perspectives on poster topics. 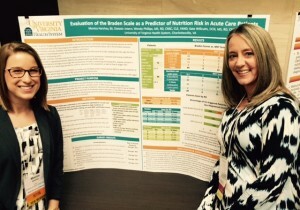 As a dietetic intern and first-time poster presenter, I was not sure what to expect. However, the more people came by my poster, the more passionate I became about the work I had completed over the last 6 months. 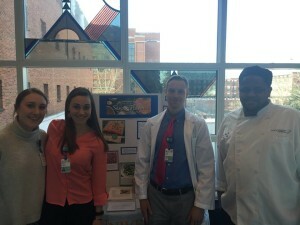 My research, completed as a “capstone project” through my internship program with the guidance and oversight of a preceptor, focused on whether the Braden Scale was a positive predictor of nutrition risk in acute care patients, and if it should be used as a nutrition screening trigger for RD services. Consisting of prospective medical chart data collection as well as a nurses’ survey, we obtained data from 121 patients and 50 members of the nursing staff. Our data indicated opportunities for improvement in how the Braden Scale is completed at our facility, as well as how RDs and patients alike would be impacted with the addition of a RD trigger based around Braden Scale scores. It was a privilege of mine to work with both Wendy Phillips and Kate Willcutts on this project, and it was an honor to stand before my professional role models and peers, discussing the importance of quality patient care in the acute care setting. I was able to meet and network with new people, gain new perspectives on my research, and hear how my research could impact nutrition practice in various settings. It was particularly valuable for me to hear from RDs currently employed in an acute care setting about how my findings are consistent with what they thought, but never had proof of being true. Other intern presenters I spoke with after the conference echoed these statements, some adding they didn’t expect so many people to be interested in their projects, that it helped them realize what they had accomplished, and that they felt as though they were making a difference as a result of their work! To current and future dietetic interns…I highly recommend taking advantage of research opportunities with your dietetics program if possible, and participating in poster sessions like the one at VAND! The personal and professional growth you experience as a result is absolutely worth the hard work. The number of young people interested in nutrition research was extremely encouraging to see, affirming the future of our field is in good hands. I cannot wait to see where the future of dietetics research is headed and look forward to participating in more poster sessions as my career blooms! 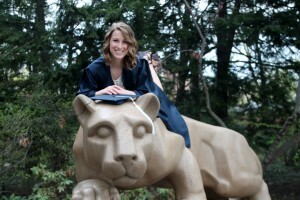 Monica Hershey is currently a dietetic intern at the University of Virginia Health System in Charlottesville, VA. Monica earned her undergraduate degree in nutritional sciences at Penn State University. Upon graduation, Monica would like to work as a clinical RD at a large medical facility on the East Coast, with hopes of working as a renal dietitian in the near future. Her personal interests include hiking with friends, recipe-less cooking and exploring all the fun that Charlottesville has to offer!